With dozens of stock trading apps currently on the market, it can be tricky to separate the good from the bad. 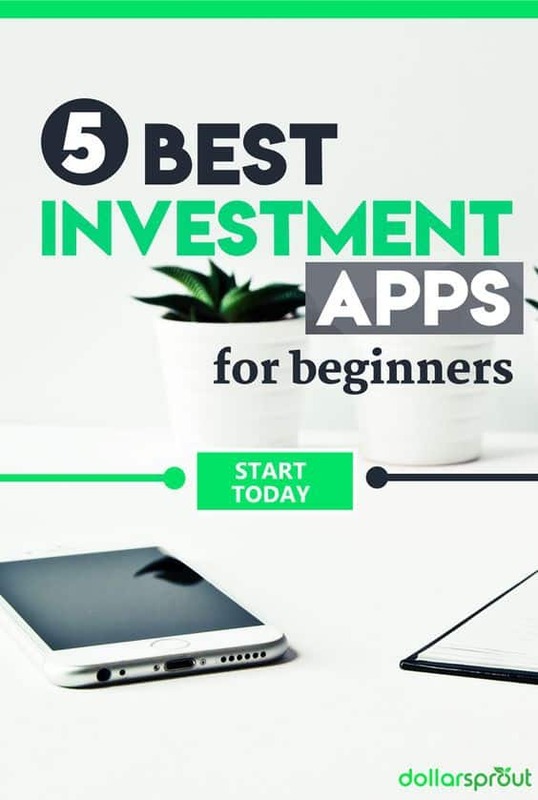 To help you find the right one for you, we put together this list of the best investment apps for beginners in 2019. Our Editorial Team has researched all of the top investing apps available, and evaluated each one in several different areas in order narrow this list down to the five that we think will help you the most. Everyone’s financial situation is different. We all have different goals, amounts to invest, tolerance for risk and knowledge about investing. At DollarSprout we know what we like, but we’ve also asked around to see what other apps people in the personal finance community are using to invest their money online. 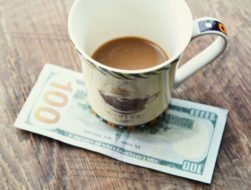 Whether you have lots of extra money to invest, or just want to get started with a small amount of money, you should be able to find something useful for you on this list. Note: Before you start investing, you should already have a monthly household budget and a plan in place to pay off your debt, if you have any. Acorns is an investing app similar to Stash, with a few extra bells and whistles. You can read our full Acorns Review here. Open an account in under 5 minutes, with no minimum investment required. Answer a few questions about your age, risk tolerance, etc. 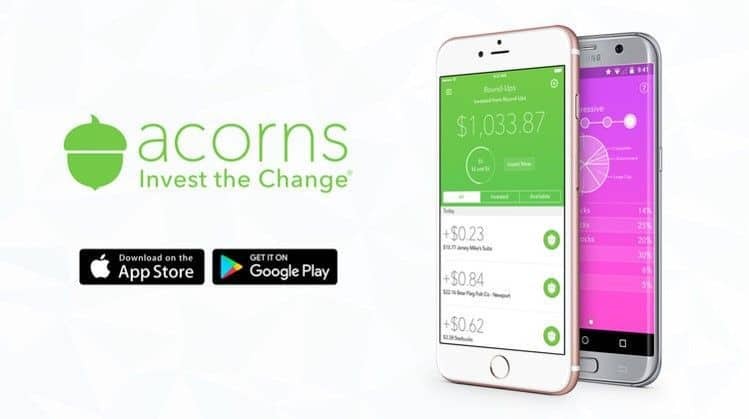 There are several ways to add to your account, including depositing your “spare change” (the app will round up your debit card purchases to the nearest dollar and move the extra few cents into your Acorns account). You can also make lump-sum deposits and use Acorns’ “FoundMoney” program, which is essentially a cash back program that works in a way that’s similar to Ebates or Swagbucks. 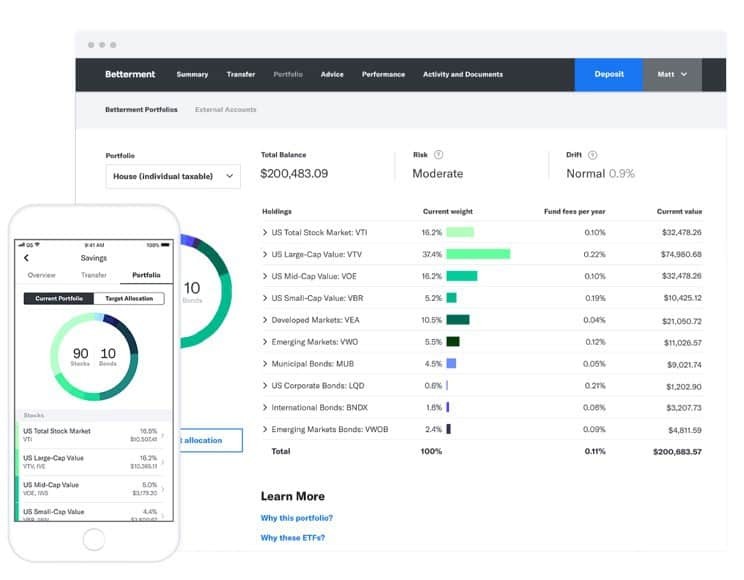 Betterment is more than just an investment app — it’s designed to be a one stop shop for all of your investing needs. It’s focused primarily on long term investing, and the platform caters to a “set it and forget it” investing style (which is perfect for beginners). You can read our full Betterment Review here. Answer a few questions about your age, risk tolerance, etc. You’ll be asked about your goals and what you are investing for. Based on your answers, Betterment will put together a portfolio that suits your needs. As time goes on, Betterment handles portfolio rebalancing so your asset allocation stays in line with your goals. If you have investment accounts outside of Betterment, you can still use the app to track all of your assets in one place. If you want a more hands-on way to invest your money, we really like Ally Invest (formerly known as TradeKing). You choose each individual investment (stocks, bonds, ETFs, etc). There are no pre-made themes like Stash has. This means you have much more flexibility. You enter each individual trade and are responsible for rebalancing your portfolio on your own. A huge collection of educational resources. A word of caution: If you are completely new to investing, this may not be the best investment app for you. If, however, you are excited to research investments and learn more about the stock market in general, Ally Invest is a high quality platform. Where Ally shines the most is the low cost of trades: only $4.95 per stock or ETF trade. This puts them at the top of their class among their competitors (think E-trade, Charles Schwab, TD Ameritrade, etc). 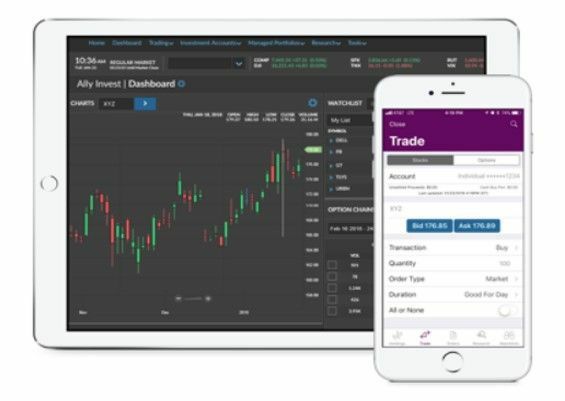 Clients have access to Ally Invest’s browser-based platform which offers quick trading capabilities, real-time streaming quotes and data, a customizable dashboard, and access to all of their tools. 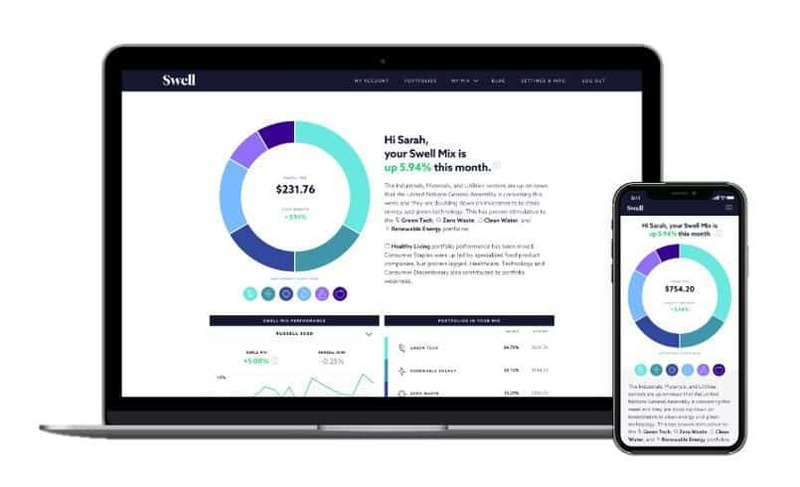 Swell takes a unique approach to investing. According to their website, they are “an impact investing platform that helps you invest in high-growth companies solving global challenges.” You can read our full Swell Investing Review here. Despite the higher than average fees, we included Swell in our list of best investment apps because of the philosophy behind their investment strategy. Set up your account: Select either a traditional brokerage account or a retirement account (IRA). Pick your portfolios: Choose from six thematic portfolios and create your Swell investment mix. Link your bank and fund your account. Management fee is higher than competitors, but not unbearable. On a $500 balance, you will pay $3.75 a year in fees. Don’t know the first thing about investing? No worries — we all have to start somewhere. Stash is a simple investing app that makes it easy to start putting money to work, even if you’re only looking to invest small amounts of money. 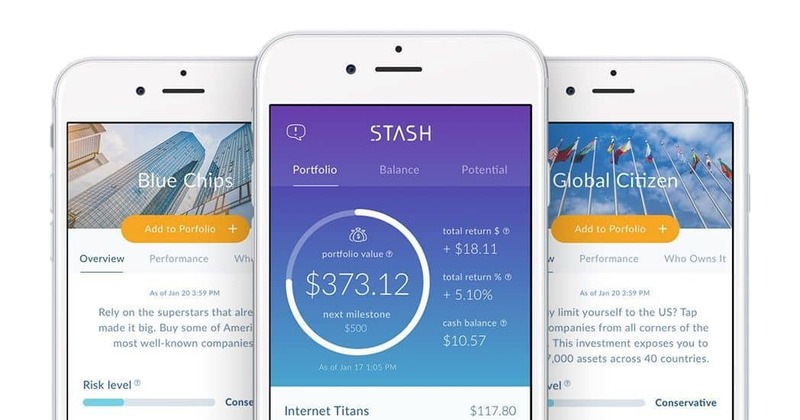 The Stash app explains investing in a way that you can actually understand. You won’t need a college degree in finance to understand what’s happening with your money. You open your account with as little as $5. Stash allows you to invest money online by letting you choose from 150+ stocks or investment “themes”; pick from the best options for your goals, interests, and beliefs. Each theme includes a group of companies to invest in rather than just one. Each week you can make a small automatic deposit into your Stash account to invest (even just $5 a week). *DollarSprout is a paid Affiliate/ partner of Stash. Investment advisory services offered by Stash Investments LLC, an SEC registered investment adviser. This material has been distributed for informational and educational purposes only, and is not intended as investment, legal, accounting, or tax advice. Investing involves risk. If you haven’t started investing yet, don’t fret, it’s not entirely your fault. It’s not like we crawl out of the womb knowing what a 401(k) is or how you should start saving for retirement. We aren’t born knowing the ins and outs of trading stocks, and basic personal finance still isn’t being taught in schools. But to make this work, you need to start tucking away some of your money into the stock market as soon as possible. You need to start now while time is still on your side. With any one of the investment apps listed above, it’s easier than ever to get started with investing. Even if you are a complete beginner! The more time your investments have to grow, the more money you will end up having in retirement. That means that you need to start doing this now, even if you start small. The rise of mobile has made tracking and growing your money easier than ever. This list has, in our opinion, the best investment apps that will allow you to realistically and responsibly invest money online. I made the US my home 12 years ago, I am now a citizen but have no 401(k) or other savings and am in my late 50s – can you advise me on my best plan of action please? As you might expect, everyone’s plan of action will be slightly different. We’d need slightly more information to be able to point you in the right direction. Do you have debt? What sort of debt is it and what are the interest rates? Generally speaking, if you have high-interest debt, it’s important to service that first before addressing the investing end of the spectrum as high-interest debt will eliminate any yield a retirement account would offer. If you’re debt free or your liabilities have low-interest rates, it is often a good idea to start investing for the future, assuming you have some savings/an emergency fund at hand. If all of those are in place, and your employer does not offer a 401k and/or a 403b, an IRA is logical place to begin investing. You’ll get tax benefits dependent on the IRA you choose (Roth or Traditional) and many banks/investment firms (or some of the apps above) offer low-fee IRAs where you can begin to invest your money. IRAs have contribution limits that are adjusted yearly ($7,000 this year since you’re over the age of 50) and after that maximum has been meet, people will typically look into low-fee funds inside of brokerage accounts. Hopefully that’s a high level overview that might guide your decision making process. Let us know if there is anything else we can help you with! Hi I am looking to start investing , I need something that I can start out with a low sum to put in and something that can do the investment and tradings for me. Something that will give me good results but is also good for beginners. I’ve been looking at swell, betterment, or acorns any suggestions? Hey Tiffany — does your employer offer any sort of retirement plan? If so, do they offer a match? Taking advantage of that would be your first priority. If you cannot participate in an employer sponsored plan, of the one’s you mentioned above, Betterment might be a good start for you. You can open a beginner-friendly, low-fee IRA that will be comprised of asset classes that fit your risk appetite/your goals (and will automatically be rebalanced for you as necessary). Let us know if you have any questions about getting started or if you need help with something else. Good luck! Hi, I’m a college student who is 18. I’m just getting into the investing world which apps would be best for someone my age. I also run a business. Hi can you please assist me with more ideas on the investment and trading and how is work? How to start? And the best app available for a starter?